This fringe infinity scarf will be your new favorite scarf! This is light weight and extremely soft. Loops & Threads Woollike yarn (85% acrylic, 15% nylon) is so soft to the touch and makes for a great wearable that won't get too hot or itchy. The scarf is worked with 2 strands together with a clear easy to follow pattern. 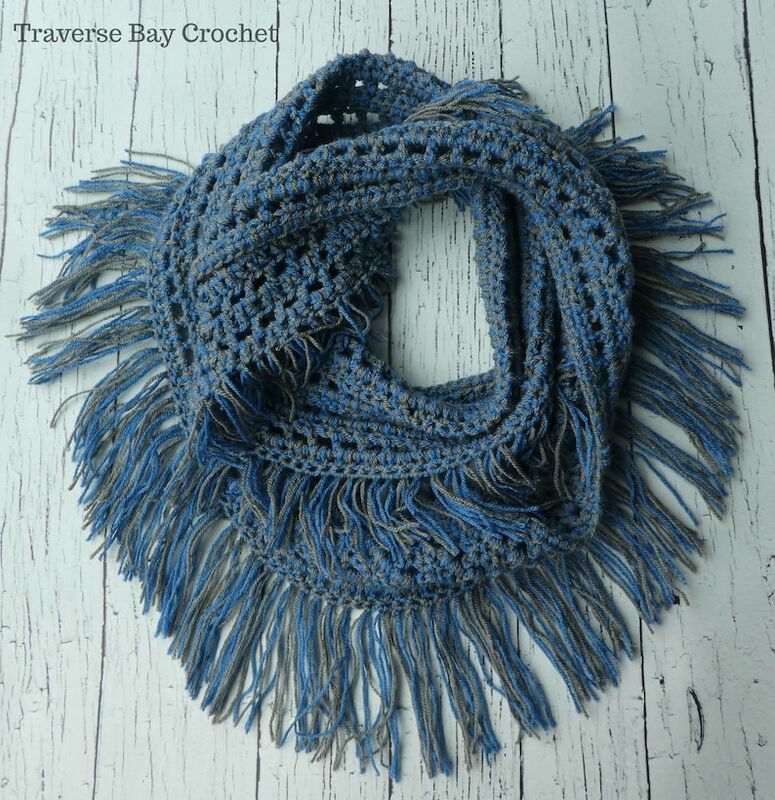 This can also be made with medium worsted weight yarn or any weight yarn if you prefer a thicker scarf (just make sure your beginning chains measure 54" and is an even number of stitches). The scarf measures 54" (27 inches folded in half) by 5". Loops & Threads Woollike Simili-Laine Estilo Lana (1, superfine), 3.5 oz (2 skeins, you will work 2 strands together, makes 2 scarfs). 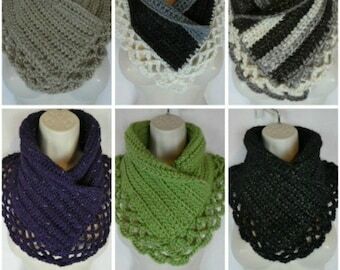 You can also use medium worsted weight yarn for a thicker scarf. Copyright: You are welcome to sell what you make with this pattern, please link with my shop. This pattern may not be resold or altered from it’s original form. You can share this post on social media, please link it back to this post.